Did you know that this is a great way to preserve your credit and get approved for card? It’s true. When you cancel a credit card and lose the line of credit that it had given you, your score drops. Why? It decreases the total amount of credit available to you, and thus, increases the percentage of credit you use every month. That percentage is one of the 5 factors that determine your credit score called utilization ( we have a whole memo on it if you’d like to read more) and it affects your credit score A LOT. So, if you don’t want to pay that annual fee, thin out the wallet, or you’re just strategizing to pick up another bonus on that same card – you need to preserve your credit line. How can you do that? You can move your credit line between cards. This is also a great way to get approved for a new card. Lemme explain. 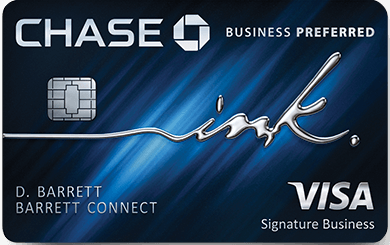 Most Banks will move your credit line from one card to another. In fact, this weekend I did it twice. Once was to get approved for a Chase Sapphire Reserve, and the other was for a Barclay Aviator Red World Elite. In both of these instances, the bank had extended their max amount of credit to me, and the only way that they would approve me was to move part of an existing line of credit to the new card. This is something that they will ask, or if they don’t, something that you should offer in a retention call. I will approach this when I cancel my current Barclay Aviator ( the card whose line I split to get approved for my Barclay Aviator Red). In order to keep my overall credit utilization very low, I will move the remaining line of credit ( or part of it) to the new card. Chase is notorious for allowing quick and easy moves between cards. It’s also a reason to keep a fee free card alive and well. As the years pile up on a card that costs you nothing to keep, you’ll not only increase the average age of your credit, you’ll maintain an account to move your credit line in and out of as you sign up or close accounts. Does moving a line of credit result in a hard pull on your credit? The answer is depends on the bank. Here’s my experience. Each Monday Miles has decided to drop a tip, hint, tutorial, trick that maybe you’ve missed or haven’t heard before. If you’re an expert in this field, some of these may be things you already know, but there are a lot of beginners out there who are just getting their feet wet – and these posts are for YOU!